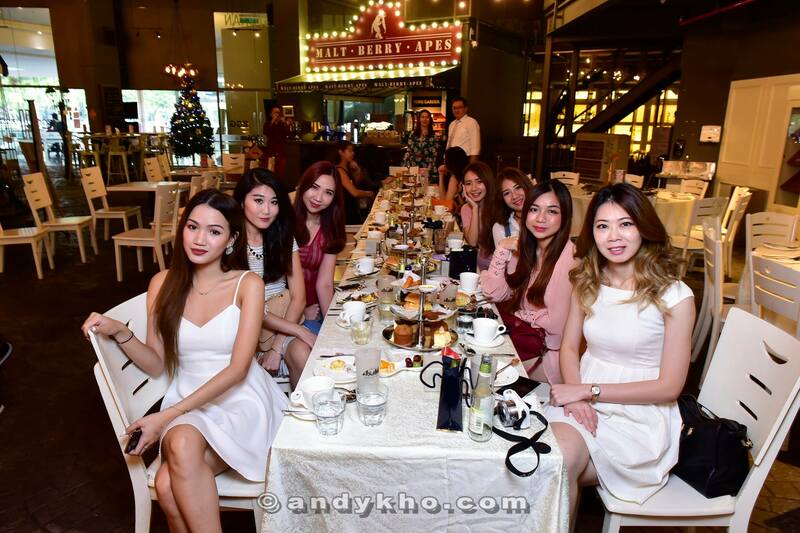 Malaysia’s Hottest Bloggers celebrated our 6th anniversary with a get-together at 8 Gourmets Gala (EGG) in Pinacle Sunway in an event which was supported by Estee Lauder, Sally Hansen, Cotton On, AD Time, Carlsberg Malaysia and EGG. EGG is a unique open concept dining experience consisting of eight (8) different eateries and bars under one roof – Caffeinees (homegrown cafe), Hook & Cook (marketplace – inspired western seafood restaurant), Malt Berry Apes (wine cellar and whiskey bar), Yi (Gourmet Kitchen), Hakka Crab (premium hawker delights), Chiyo Sushi (authentic Japanese cuisine), Nibbles (soup, salad and sandwich bar) and Confessions of Lady Laura (dessert haven). When Estée Lauder first launched their Night Repair in 1982, they were the first cosmetic company to use a pharmacy-inspired brown bottle to reinforce the product’s serious skin care sentiment. The iconic “little brown bottle” with the apothecary dropper would go on to become a staple in many women’s cosmetics cabinets all around the world. The new Advanced Night Repair Synchronized Recovery Complex II formula has 25+ patents and patents-pending worldwide, making it so revolutionary, it is patented until 2021. Today, the Estee Lauder Advanced Night Repair (ANR) is one of the best-selling, best-performing products in Estée Lauder history, with ANR being Estée Lauder’s number one repair serum, with approximately 9 bottles of ANR are sold every minute. The Sally Hansen “Royal Splendor” Miracle Gel™ Collection introduces three (3) new monarch-magnificent shades to the Miracle Gel™ lineup. Sally Hansen Miracle Gel™ will keep your manicure looking majestic with up to 14 days of colour and shine. The revolutionary, #1 zero light gel manicure system has seven (7) new hues in its “Royal Splendor” collection. When applied over the Miracle Gel™ shades, the Miracle Gel™ Top Coat volumizes as it protects, making it more chip-resistant than regular nail polish. Once applied, this gel top coat provides a high-gloss finish and mirror shine – providing the look of a gel manicure at home, without the trip to a salon. First, apply two thin coats of Miracle Gel™ colour to clean, bare nails. Then, apply one coat of the Miracle Gel™ Top Coat. Natural light cures the polish, yielding a manicure that resembles a UV / LED cured gel polish. It removes easily with regular nail polish remover. The new Miracle Gel™ “Royal Splendor” shades comes with the Recommended Retail Price of RM36.90 and are available from December 2016 onwards at selected Watsons, Guardian, Sasa Malaysia, Caring and Parkson. In 25 years, the Cotton On Group has grown to become Australia’s largest value fashion group, with seven brands in 18 countries across the world, driven by a team of over 20,000 passionate people, and growing. Avenue K, Pavilion KL, The Curve, 1 Utama Shopping Centre, Paradigm Mall, Setia City Mall, 1Borneo Hypermall, Johor Premium Outlet, KLCC, Sunway Pyramid and Cheras Sentral. AD Time presented each of our influencers with a beautiful and elegant Esprit timepiece which comes in rose gold, is made from stainless steel, and is water-resistant. The timepiece is versatile enough to match a variety of outfits – from smart casual to something a little more formal. Here’s to another great give years!